Add a warm and inviting look into your home with Relax curtains by LJ Home Fashions. Neutral colors designed to compliment any contemporary, modern or traditionally styled dicor with ease. Available in five (5) colors - warm brown, grey wolf, blue, driftwood brown and linen beige. Fabric is super soft to the touch. Fabric has a faux textured and wool like look. 100% polyester. 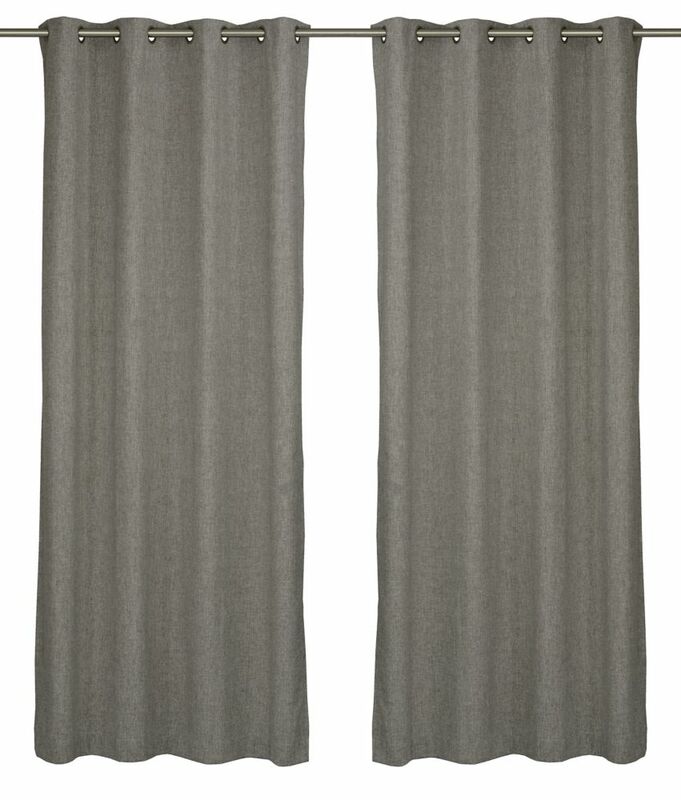 Set includes TWO (2) grommet top curtains. Each panel is 54 inch W x 95 inch L. 1.6 inch grommet diameter. All dimensions are in inches. Curtains can be combined with a blackout treatment (roller shade, solar shade etc) to maximize your rooms darkness. 100% privacy. Easy to install. Grommets fit standard sized curtain rods. Soften the harshest of sunlight streaming through your windows with Aura Sheer curtains by LJ Home Fashions. Neutral colors designed to compliment any contemporary, modern or traditionally styled dicor with ease. Add a pop of color to your decor with Karma curtains by LJ Home Fashions. Vintage colors that will compliment any contemporary, modern or traditionally styled decor. Add fabulous to any room with Maestro curtains by LJ Home Fashions. Light filtering curtains will add just the right amount of sunlight in. Colors that will compliment any contemporary, modern or traditionally styled decor. Relax Wool Like Grommet Curtain Panel Set, 54 inch W x 95 Inch L, Driftwood Brown Add a warm and inviting look into your home with Relax curtains by LJ Home Fashions. Neutral colors designed to compliment any contemporary, modern or traditionally styled dicor with ease.